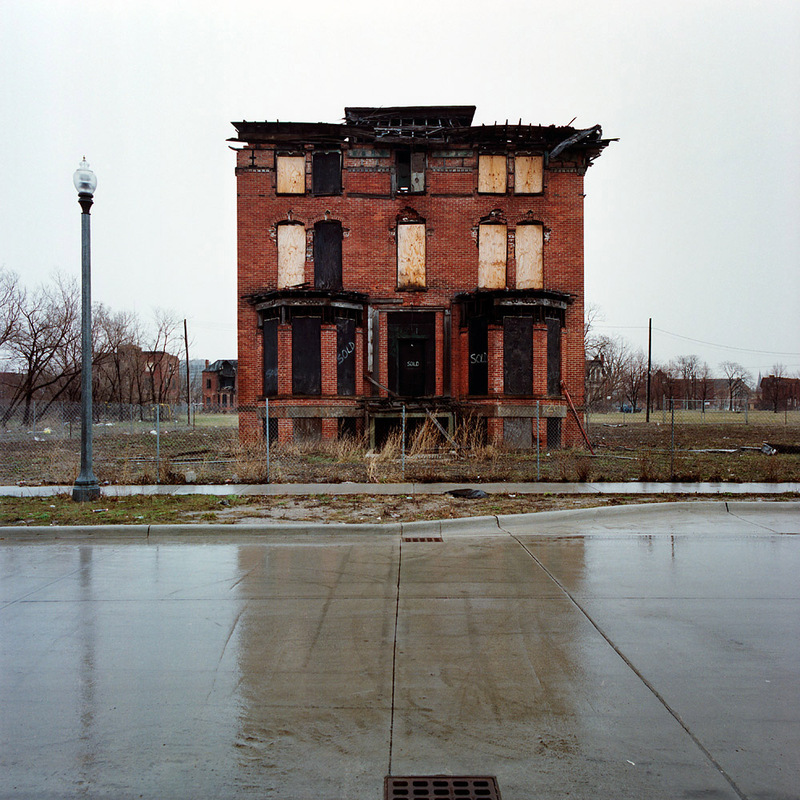 The 100 Abandoned Houses project documents one aspect of the remains of a city that has seen its population decline by more than half. At one point Detroit was home to almost 2 million residents, but its population has since fallen to just over 700,000. Brush Park, once a wealthy enclave on the outskirts of Detroit’s entertainment district, was the area that first caught my attention, and where I first photographed abandoned mansions. For years faded signs had advertised the redevelopment that was about to take place. Around 2000, it finally began to happen, with new condos beginning to appear amidst the rubble of burned-out mansions turned apartments. As Brush Park began to transform into something new, I realized the other approximately 135 square miles of Detroit was largely ignored. Excitement about Detroit’s “rebirth” took center stage, while much of the rest of the city was becoming largely abandoned. Even Brush Park itself was still largely abandoned, but with the remaining tenants of Brush Park’s buildings being pushed out, and many of the old houses torn down, I moved on to other areas, where Detroiters were attempting to make a life among urban ruins.